Welcome to Day #8 of Chocolate and Nibs Theme Week. 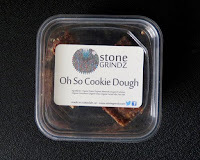 Today's container of Oh So Cookie Dough raw energy bars were made by Stone Grindz Chocolate (Scottsdale, AZ). The company sells these bars (and other energy bars) through their secret store menu on their website. 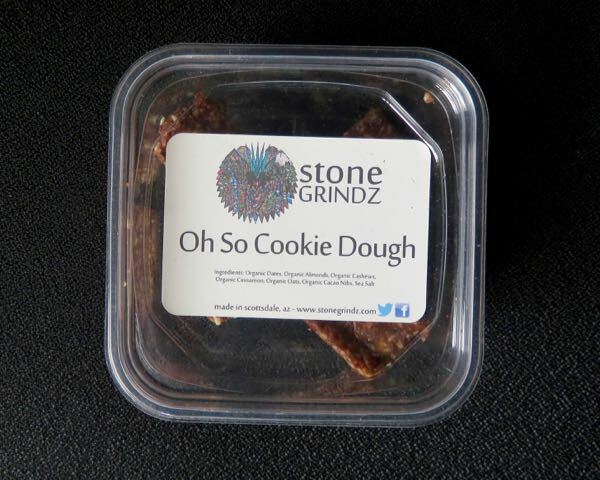 These soft bars were pleasantly and naturally sweet; and they did, in fact, taste a little like cookie dough. 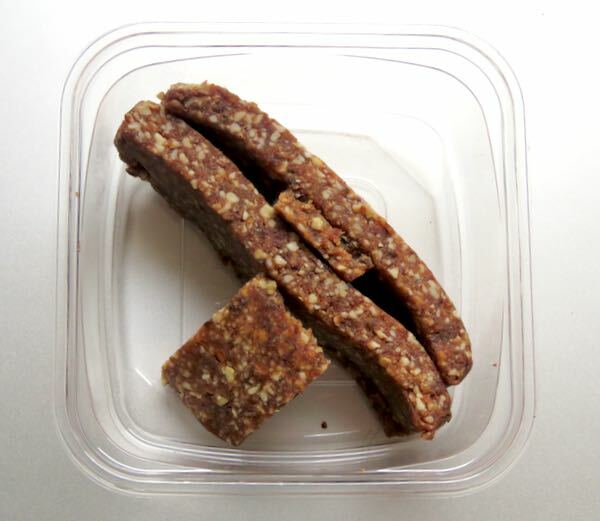 Cacao nibs gave these energy bars a little crunchy texture and cocoa flavor.